If you have questions about events, call Lynn at (781) 227-7500. Print out the latest concert postcard, and please help us spread the word by passing them out to your friends! Tickets for concerts in Watertown (not house concerts or other events) can be purchased online at BrownPaperTickets.com. Dave and Anni joined forces in 1985, after spending many years around the folk club scene. Within a short time they teamed up with friends Charley Yarwood and his wife Cathy to form the acapella harmony group Beggars Velvet. The group were very soon in demand for clubs and festivals and recorded their only album, Lady of Autumn. They made two tours of the USA in 1990 and 1991 before they stopped performing together in 1993 after eight very successful and happy years. Dave and Anni made their duo debut on stage at the Eisteddfod Festival in Dartmouth Massachusetts in 1993 to begin a very successful career as a harmony duo, working largely acapella and featuring mainly traditional and traditional idiom material. They have worked extensively in the UK and the USA to much acclaim and now have five albums of their own to set alongside the Beggars Velvet recording, which is still in demand after many pressings. Anni has developed a specialist repertoire of songs originating from her native North East, and Dave has been writing songs in traditional vein since 1982. Many of these are widely sung and have become part of the general song repertoire of singers all over the world. Although Dave and Anni perform substantially at home in the UK they also make at least one trip each year to the United States, where they have an established following. An evening with them includes solo songs from each, but when they sing together the sound is magical. Usually, Dave’s rich baritone takes the melody. Anni complements the song with strong harmonies that first guide the audience into the song then embellish it with lovely moving vocal lines and graceful arabesques. Both are masters of their instrument with power and control shaped by a deep knowledge and love of traditional song. Everyone is welcome to join us for an opening house at the New England Conservatory Library, home of the newly-relocated FSSGB Collection of folk music material. Martyn Wyndham Read is an Australian National Treasure. A regular visitor to Australia for many years, Martyn probably did more than most to educate Australians about their heritage. Martyn has been involved with folk music for over forty years. In his late teens he left his mother's farm in Sussex and headed off with his guitar to Australia where he worked on a sheep station Emu Springs in South Australia. 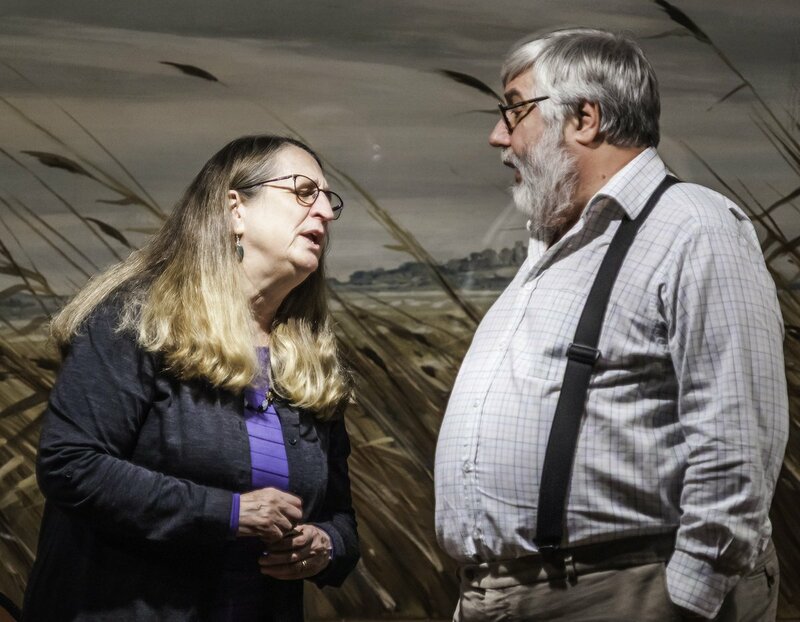 It was while he was there that he heard, first hand, the old songs sung by some of the station hands at Emu Springs and he became captivated by these songs and the need to know more of them and where they came from grew. English by birth, Martyn first developed his great interest in folksongs of the outback when he went to Australia in the early 1960's. There, while working on the sheep station, he gained first hand experience of life as a bush worker and at the same time fell in love with Australia and its music. During his subsequent travels he spent much of his time seeking out and learning old songs directly from drovers, cane cutters and other bush workers. As the folk song revival gathered pace in Australia, Martyn found himself singing these songs to audiences all across the Australian continent and after seven years down under, he returned to England where he performed these songs to an appreciative British audience. Concert tours spreading his style of music to the far corners of the world have been the norm since then. To date his recording career spans 33 years and more than 30 albums, many considered classics of their genre. One of the most engaging performers you’re ever likely to see, his exceptionally intimate performance combines songs, humorous bush poetry recitations, stories and anecdotes of outback life and comments on Australian history and culture that typically leave the audience ready to book the next flight out to Sydney! Joe Penland was born and raised in rural Madison County in the Appalachian mountains of North Carolina. He is the proud steward of twelve generations and over 350 years of the rich oral tradition of his Scotch and English ancestors. From his birth, he has listened to and learned the stories and "love songs" these travelers brought with them across the ocean, then southwest to the narrow coves and high meadows that many consider the richest repository of Great Britain's folk songs in the world. He inherited the instruments of his grandfather who died long before his birth and was taught to play by his Aunts. He learned the "love songs" from them and the great singers of Sodom Laurel. Thee singers include Lee, Berzilla, Doug and Cas Wallin and Berzilla’s sister and brother Dellie Norton and Lloyd Chandler. Joe was content to continue this tradition in his front room, the porch or campfires of his secluded farm. His daughter Laurin along with lifelong friends Sheila Adams, Mary Eagle and David Holt convinced him to share his life and music with a broader audience. 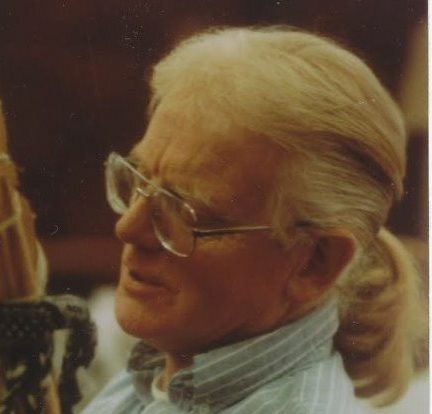 Since then, he has appeared at numerous festivals, toured Great Britain eight times, and has been awarded the coveted Bascom Lunsford Award, named for his cousin and founder of the longest running folk festival in America, for his "significant contribution to preserving our mountain music." Determined that folk music includes the present as well as the past, Joe writes and sings his own "love songs," which he calls "just more stories of love and life here in the mountains." Whether singing the traditional ballads of the mountains of western North Carolina or performing his original and stirring folk songs, Joe Penland's music offers an honesty and power that is a testament to both his unique character and our shared humanity. Norman Kennedy is one of Scotland's finest traditional singers with a unique repertoire of folk songs and ballads. 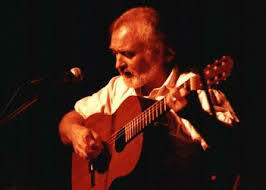 Born and brought up in Aberdeen, he was a neighbor of the great ballad singer Jeanie Robertson and during the evolving folk scene of the 1960's he picked up many songs from her and from other singers such as the bothy ballad singer Jimmy McBeath and the traveller and street singer Davie Stewart. Norman is a "keeper of the old ways", a master practitioner and teacher of textile arts as well as an unaccompanied singer of traditional Scottish Songs that he learned while growing up. In 1966 he moved to the USA after representing Scotland at the 1965 Newport Folk Festival where he was an immediate success with the "folkies" and the academic alike. The former loved his relaxed, easy style, while the latter recognized a deep knowledge and understanding of the songs, which went way beyond book learning. Here was a young man truly immersed in his tradition and culture. And all these years later he has lost none of that magnetism. But there's more to Norman than just singing and storytelling. He is an accomplished weaver, who cards, spins, and dyes his own wool in the "old ways". It is a mark of his quest for perfection that he is as well-known in this field as for his singing. But he does not see them as separate entities - the songs help him to concentrate on his weaving and the weaving gives rhythm to his songs. When Norman sings as he weaves it seems the art and the craft were meant to be together. In June 2003, Norman was awarded the highest honor in folk and traditional arts in the United States. This Master Artist was the recipient of one of eleven fellowships awarded by the National Endowment for the Arts. The award was presented in The Library of Congress by United States President George W Bush. There has always been an intimacy in Norman's performance, no matter how grand the setting or how large the audience. His songs and stories flow naturally as part of an extended conversation in which the attitudes of a contemporary creative artist are sublimated by a knowledge and continuing fascination with the lives and concerns of past generations. Hearing Norman Kennedy sing today is unlike witnessing the performance of a singer who came to prominence as part of the Sixties folk revival. Unlike his contemporaries, he recast his whole lifestyle in a traditional mode around his work as a weaver, making the connection between life, work and song a seamless intermeshing where context is an established given. His way of life has brought him closer to the singers from which he learned as a young man and has helped form his understanding of them and the material they passed on. His own performance is thus enriched with strands of meaning that interpret the songs with verbal portraits of the old singers who sang them, giving them their due credit. Our hosts will be Lori Fassman and Paul Beck. They are long-time FSSGB members, and are both past Presidents of FSSGB. Contact Lori Fassman at lori@fassman.com to sign up by January 16. Max Hunter was among the last great collectors of folk song in the Ozarks. He was unique among folklorists because he arrived at song collecting as a travelling salesman rather than as an academic. His first purposeful song hunting expedition took place in 1956, and he went to amazing lengths to find an "old song", all of which will be discussed in my biography. He was a deeply gifted individual and greatly loved by all who knew him. This event will be a combination of workshop and concert. For the workshop portion, Sarah will focus on approximately three Hunter ballad singers: Fred High, Aunt Ollie Gilbert and Almeda Riddle. We will listen to some song files and Sarah will talk back stories. For the concert portion, Sarah and Cathy will perform Ozark fiddle tunes, and Sarah will sing favorite ballads and talk about her research and stories of singers. Sarah Jane Nelson is both a musical performer and a writer, with a particular interest in traditional old time music. Over the years she has written features and profiles for a number of publications including American Craft, Orion and Country Journal. She's also a frequent contributor to Fiddler Magazine and recently had a piece in the The Old Time Herald. She has been doing research on the life of Mr. Hunter. He died in 1999 but several universities in Missouri, as well as the Springfield-Greene County Library and the Library of Congress, house his collections. Sarah has been working on Mr. Hunter's biography. Click here to read more about Mr. Hunter's amazing song collection. Roll up, roll up, hear the entertainment! This is not a dry lecture or a workshop, it's a SHOW! Our vintage ensemble style features some old favorites of the music hall stage: rousing chorus songs, songs that might make you blush, and bittersweet but tender songs that tug at the heartstrings. There's literally something for everyone in our fast-paced and fun performance. Have no fear, our steadfast Chairman will keep things moving along smoothly with his keen wit and saucy comments. 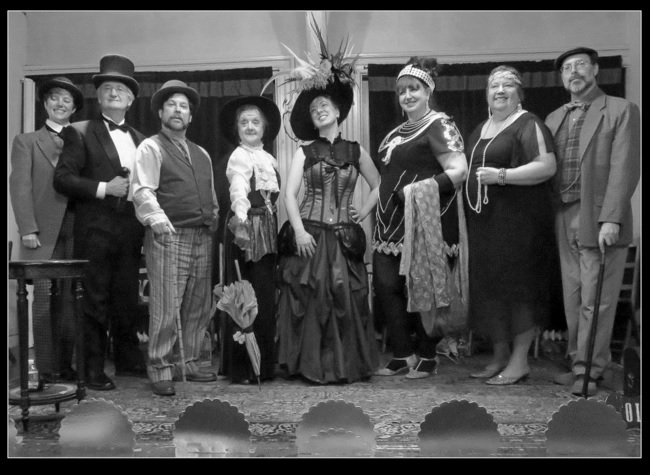 The members of The Old Howard Troupe love to perform in New England's great old music hall stages and smaller church halls that have stages. If you have a hall like this, you should contact us to find out how you can host us in your town. We love to share these songs! Proceeds from this concert will benefit the First Parish's Helen Robinson Wright fund, which provides assistance for individuals in need. 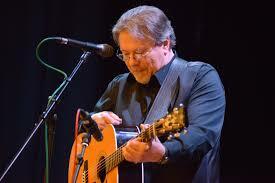 Larry Kaplan has emerged as one of New England’s leading contemporary folk songwriters, whose well-known songs are loved and sung throughout the United States and around the world—compositions respectful of tradition, poignant stories in song, honest, highly singable… always memorable. Born in Boston, Larry now calls both London, England, and Essex, Connecticut home. He worked for many years on traditional vessels in Maine, sailed on and helped restore the Schooner, Bowdoin. He has released three CDs through Folk Legacy Records, as well as three more through his independent label, Hannah Lane Music. His music has been used in sound tracks for a number of documentaries, and he has toured at major folk festivals and folk venues internationally, especially throughout England and Scotland and as New Zealand. Fellow songmaker and performer, Sally Rogers notes that "Larry paints pictures with his words and turns of phrase in a way few songwriters do" and Sara Grey says, "Listening to Larry in concert is like sitting by the fire and listening to a great story teller." Here’s a special opportunity to hear "Old Zeb," "Song for Gale," "Memorial Day Photograph," "Selling the Isabel," and many others sung by the person who wrote them, accompanied by special guest and master New Hampshire fiddler Jordan Tirrell-Wysocki. Windborne is comprised of local folk singers Jeremy Carter-Gordon, Lynn Mahoney Rowan, Will Thomas Rowan, and Lauren Breunig. 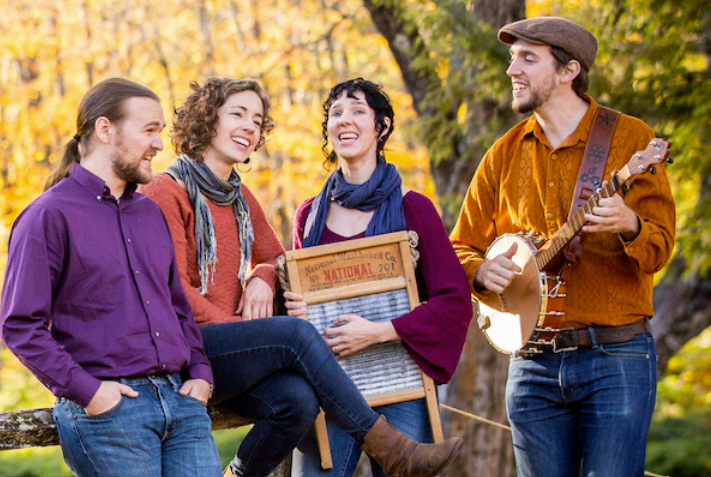 All four were nurtured in the tight-knit, far-reaching New England folk music and dance community, which provides no shortage of mentoring and inspiration as well as opportunities to develop and showcase one's talents. Jeremy, Lynn, Will, and Lauren all come from families actively involved in folk music and dance, and who passed along their love of those traditions to their children. And these four young people took it all to heart and have made something all their own, while retaining a deep respect for the music and what it represents. Their most recent project was to produce a CD, "Songs on the Time," that features traditional and contemporary songs – including "Which Side Are You On?," "Bread and Roses," "Where Have All the Flowers Gone?" and the Rowans' "Slave to Time" – that speak to social struggle. Accompanying the CD is a booklet with illustrated lyrics and sheet music for each song, along with essays penned by Brian O'Donovan, filmmaker John Sayles, and retired Boston University faculty member and folksinger Tony Barrand, among others. Workshop ("Songs of Social Struggle"): In addition to performing concerts worldwide, Windborne has taught workshops in schools, community centers, singing camps, and universities for the past decade. Experienced teachers and song-leaders, they delight groups young and old, large and small, with enthusiastic, clear, and nuanced instruction and get groups singing in harmony in no time! Participants of all abilities will learn singing styles from around the world as well as songs of social struggle from movements past and present. All songs will be taught by ear, no experience required (just enthusiasm and willingness to try new things! The workshops are a great opportunity to connect communities, sing out, and gather inspiration and energy from the music of past movements. They educate as they entertain, telling stories about the music and explaining the characteristics and stylistic elements of the different traditions in which they sing. Windborne strongly believes that singing is powerful—in communities, as performance, with friends, or with strangers. Today it is important that this power is something that we consider—that we can draw upon in other parts of our lives. Music and art are not neutral; songs can give a voice to those who have none, and has the ability change hearts, even when minds are made up. Come and sing out! You're invited as our special guest! 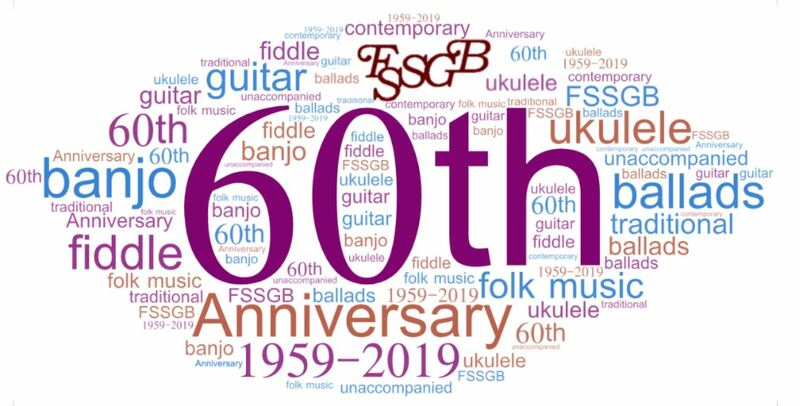 Join us at the 60th anniversary celebration of the Folk Song Society of Greater Boston. Please bring your voice and instruments and join in the joyful singing and playing! Pete Seeger tribute songs will be especially welcome, as this will be his 100th birthday! When Steve Cormier sings classic cowboy ballads, we feel we are hearing them for the first time. He combines his experience as a working ranch hand with his love of history and his knack for spinning a good yarn. Suddenly the songs are more than just sentimental reminders of a imagined past–we sense the danger, the loneliness, and the politics early cowboys faced in following their trade. Steve’s dry humor and ability to TELL the songs lead us from the past into the present. In sharing his own catchy songs, he reminds us that cowboy life and humor are very much alive today. Steve’s guitar accompaniment, rich with southwestern dance rhythms, are memorable. Steve is as far as you can get from being a rhinestone cowboy. From his life as a working cowboy and rodeo hand in the Flint Hills of Kansas and Eastern New Mexico, on through a career as a history professor, and when he’s on tour singing and playing guitar, Steve is the real deal. When you listen to Steve sing, you can close your eyes and you’re there, sitting by the campfire at night, trying to decide on whether to have one more cup of coffee before rolling in, or in the bunkhouse after the stories have died down and all you need is a little music before the lamp is blown out. This is the music of the West. The music of hardship and trials and laughter and love. Steve Cormier takes you there and lets you enjoy your stay. 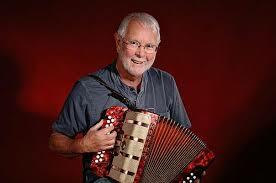 John Conolly is an internationally-recognized singer and songwriter who plays guitar and melodeon. He styles his songs so masterfully on the sound of English traditional songs that many people are surprised to hear that his songs are not from the tradition. Many of his most famous songs have been inspired by the fishing heritage of his hometown of Grimsby, UK, and have been performed and recorded by famous singers all over the world, including "Fiddler's Green," "The Trawling Trade," "Punch and Judy Man," and "The Widowmaker." He has been actively involved in the folk music scene all of his life and was one of four people who came together in 1963 to form the Grimsby Folk Club. He has been in many different band configurations over the years, performing his own material and English traditional songs at pubs, clubs, festivals and concerts - an article in Living Tradition of unknown date mentions that he performed for FSSGB but that must have been quite a while ago now! He currently has seven cds available. He will be accompanied on this tour by Rob van Sante, who lives in Whitby, UK. He is known for his subtle guitar accompaniment and fine harmony singing, which is a perfect complement to John's singing. In the 70's and 80's he toured extensively through Europe, North Africa, and the Middle East working with many well-known UK folk and jazz performers. He is a noted sound engineer, having served as the sound engineer for the Battlefield Band for nearly 20 years in the 90's and early 2000's. He is a noted producer, recording engineer and session musician. I met Rob when he came through New England last year touring with Janie Meneely - they performed at Lynn Noel's house and it was a great evening. He has a great stage presence but doesn't overwhelm the headliner. 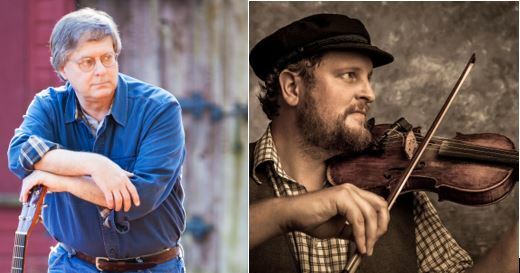 John and Rob have been working together as a duo since their collaboration on the production of John's most recent CD, "The Man from Fiddler's Green," which has received critical acclaim in folk media. Rob's sensitive guitar accompaniment and vocal harmonies add an extra dimension to John's tuneful, thought-provoking songs and together they provide a thoroughly entertaining evening of good music and great humor. 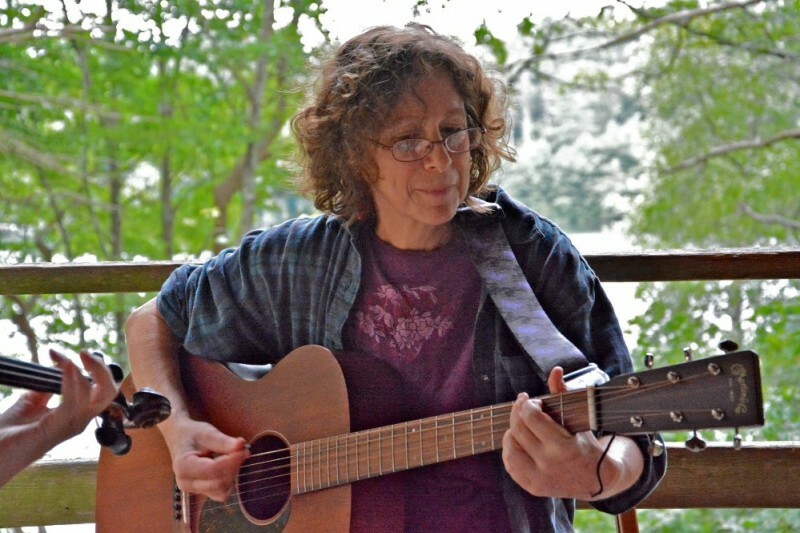 Janie Meneely is setting up all of their East Coast tour so she is touring with them, and will present a song during the evening - she's a wonderful singer with many lovely songs from the Chesapeake Bay area. She splits her time between DC and UK, and performs out with these two gentlemen whenever she can. I've met her, and the Old Howard Troupe used her home in DC as our rehearsal/crash space when we performed in DC last year. She's warm and wonderful and a great singer/guitarist. John is fitting this June house concert between his appearances at Mystic Maritime Music Festival and Old Songs Festival, and has many appearances scheduled - but this will be his only Boston-area appearance (closest one will be his June 6th appearance at the New Bedford Fishing Heritage Center). He's also appearing for the Folklore Society of Greater Washington in June. 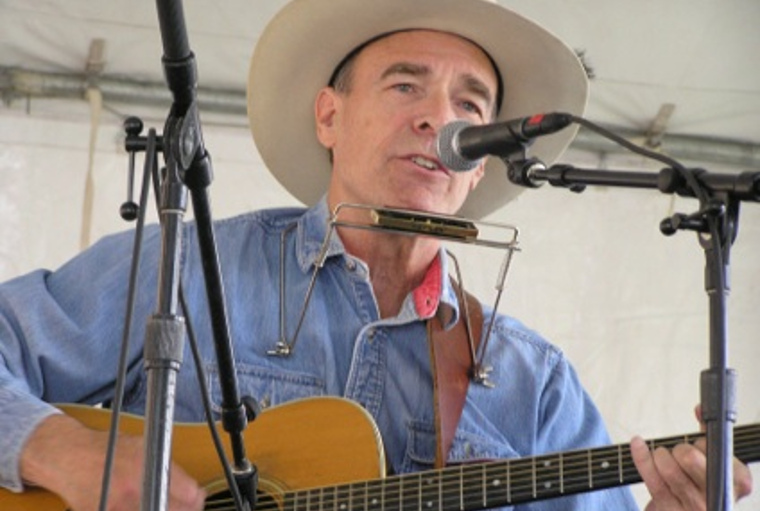 FSSGB is pleased to present "Bound for Glory", our annual Woody Guthrie Tribute show. This is a free concert performed outdoors on the lovely grounds of Fruitlands Museum in Harvard, MA. It features many FSSGB members, many of whom have performed in past Woody shows going way back to the 60's, along with newer FSSGB members. 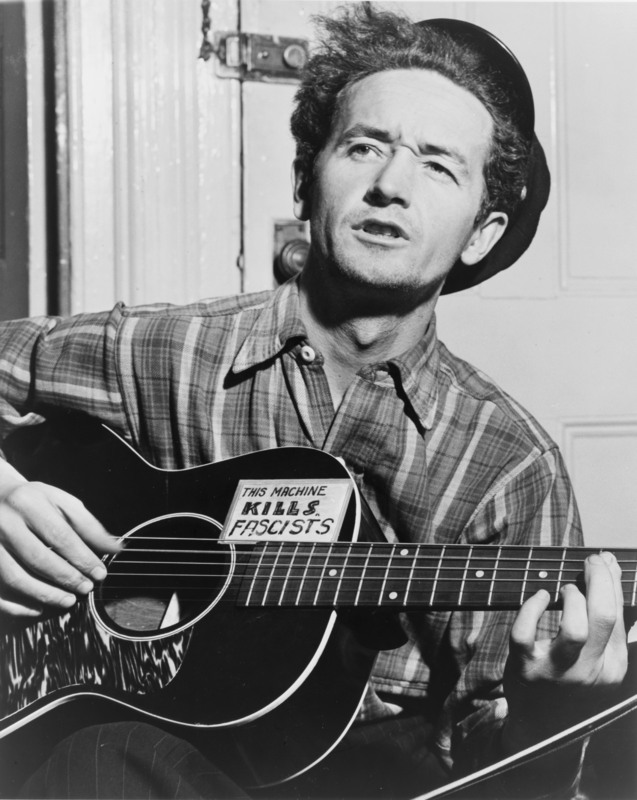 "Bound for Glory" is a performance of songs and stories about the life of Woodrow Wilson ("Woody") Guthrie, considered by many to be the founder of modern American folk music. Many wonderful songs written by Woody and performed by members of FSSGB are interspersed with short recitations from his autobiography. It is a funny, cynical, earthy and tragic account of his life in an Oklahoma oil-boom town, of the Depression that followed, and of his subsequent travels in, on, and under trains, in stolen cars and on his feet, round an America going rotten from the top downwards. Chorus sheets are made available and the audience is encouragd to sing along.